Minion Tim In Jail Medium Plush Soft Toy | Minion Shop. From the cool movie Despicable me is this Minions soft plush toy. 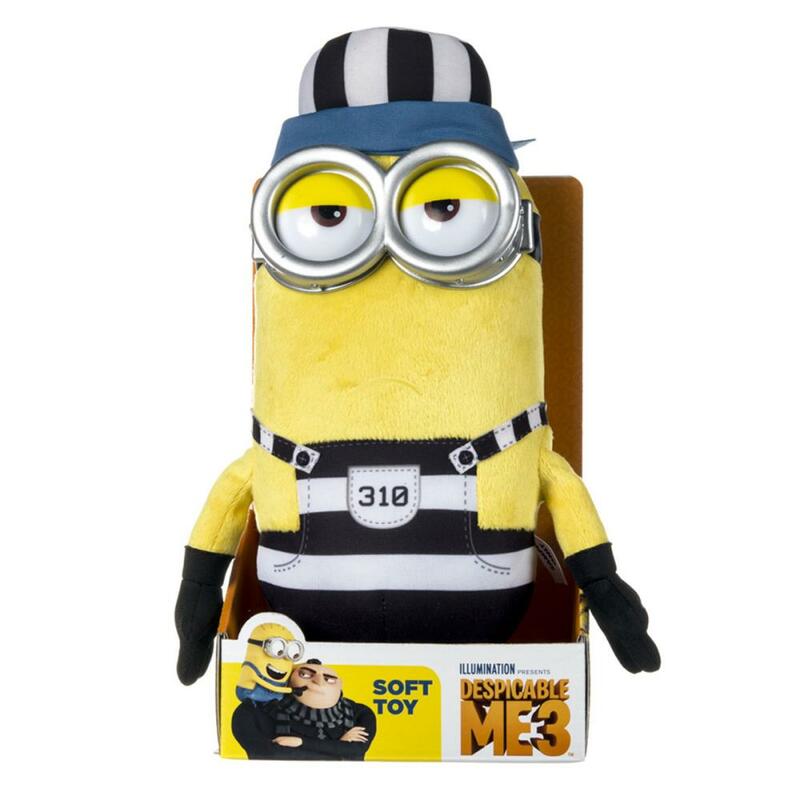 This 10" plush toy featuring Minion Tim in jail comes in a presentation box and would make an ideal gift for Minions fans of all ages! Travelling through the greatest eras in history, The Minions serve the ferocious T-Rex, the great Egyptian Pharaoh and the forces of Napoleon in hopes to be their evil master! Through tragedy and triumph, three courageous Minions; Kevin, Bob and Stuart step forward and lead The Minion tribe to their new Evil Master!